You guys, this post contains affiliate links. Ye be warned. As a writer for Blessed Is She I am given my devotion assignments two at a time. So in November I was given my December and January dates and I sat down to begin my work. I prayed to the Holy Spirit for guidance, read the Mass readings for my December date, and prayed through them again, listening for the Lord to speak. There were two parts of the Gospel that stood out to me and I didn't know which to write on - the need for friends or Jesus' question, "Why are you thinking such things in your heart?" I decided to set it aside and move on to January's readings. And when I got there it was the same Gospel. And in other Blessed Is She news, the Lent Journal is available now. It's called She Who Believed and is written by Laura Kelly Fanucci, the same author of the Advent Journal. She is such a powerful writer and this book promises to be just as beautiful and the Advent Journal was. In Laura's words, She Who Believed, "dives into the stories of women in Scripture to learn what they teach us about prayer." 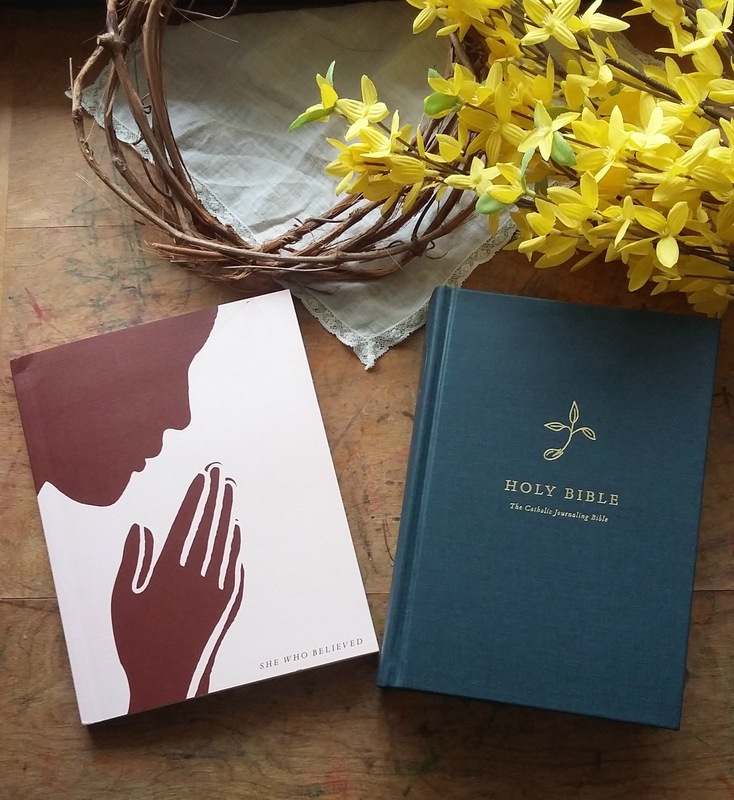 Each week the book looks at four women - two from the Old Testament and two from the New - and challenges us to grow our prayer life while deepening our knowledge of Scripture. Flipping through my copy I am really impressed with what lies ahead and I invite you to get a copy yourself. The book will discuss how real women wrestled with God while helping us prepare for Easter. As usual, there is a limited number of Lenten journals and they *will* sell out. Once they are all sold an e-version will be available. Also, if you have a Blessed Is She Membership yours will be auto-shipped to you! To purchase a copy of She Who Believed or even the Catholic Journaling Bible please go here. God bless, sisters.